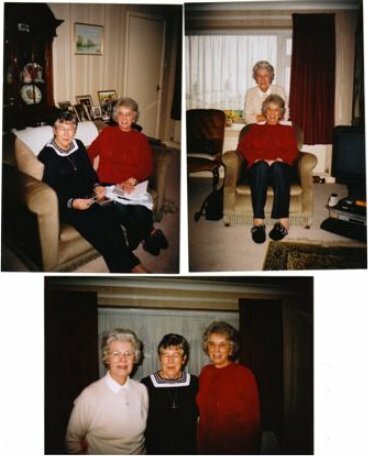 Jenny Talton (Sayer), Jacky Hearle (Savage) and Joyce Pycroft (Daniels) - classmates of 1954 - met again in January 2008 at Jenny's home in Long Sutton. Many thanks to Joyce for the photos. "For the second year running and with thanks for the generous hospitality once again of Joy Hetherington (nee Anderton) and Andy Bowcock, a small gathering of the 1965 intake of ex-pupils met in Oxford on a gloriously sunny Sunday afternoon. The 35 years which had elapsed since we last met up seemed like 5 minutes ago and we were soon at ease and swapping improbable anecdotes from years gone by. Suffice to say we have unanimously agreed to meet up again sooner rather than later and would be pleased to hear from anyone else of our era who would like to join us. My email address is geoff_lewis_uk@yahoo.co.uk if anyone would like to get in touch." 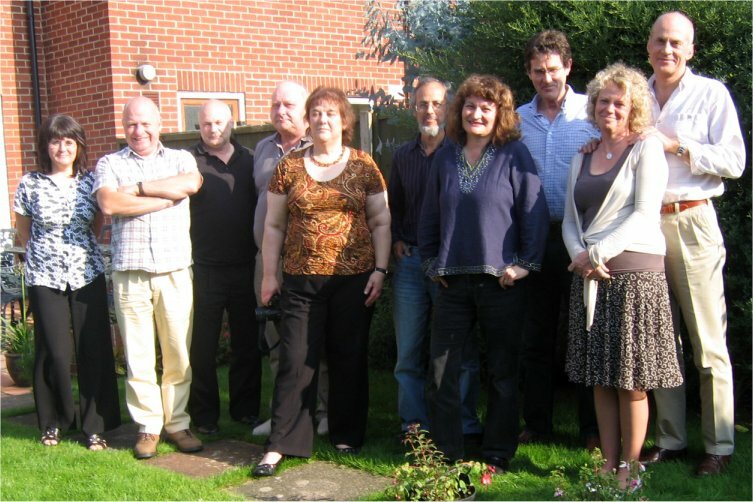 On the photograph (left to right): Fiona Wright (Guest) Geoff Lewis, Mike Crofts, Andy Bowcock, Joy Hetherington (Anderton) Simon Gibbons (Guest) Fiona Gibbons (Lyons) John Farman, Hilary Garrard, David Tudor. 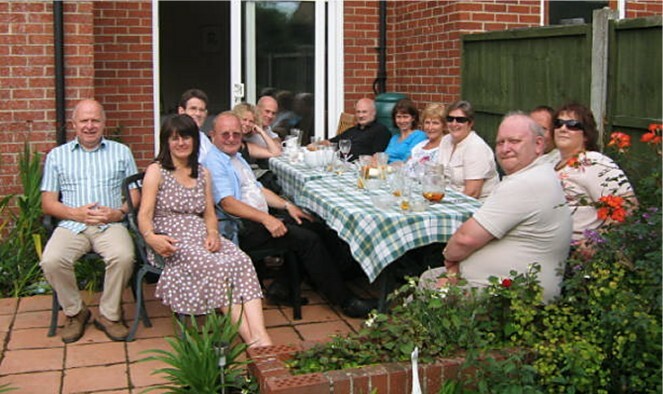 "We met once again due to the hospitality of Joy Hetherington (nee Anderton) and this year we were joined by John Trevithick and Caroline Brown. As always, we had a great day, and would welcome anyone from the years 1965-1972 to join us in future. Next year our gathering may well take place in either Norfolk or Cambridgeshire. My email address is geoff_lewis_uk@yahoo.co.uk. 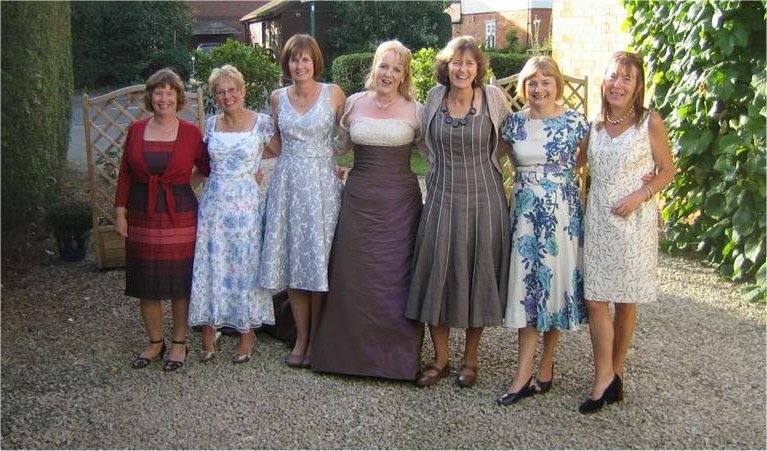 Anne Richardson (nee Warner) sent in this photo, taken at the wedding of Georgina Norman in 2009. Left to right: Sarah Riches, Marion McDonald (she left in the 5th form), Jane Pearson, Georgina Norman (the bride! ), Ruth Pearson, Anne Warner, Mary Weston.